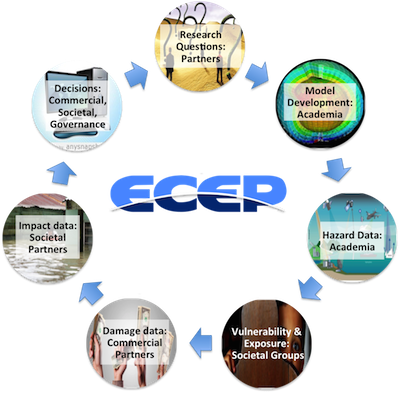 ECEP’s Vision - Empowering resilient decisions for weather and climate extremes through collaboration. Reducing catastrophic impacts through a range of approaches to understand, communicate and manage risk, including graceful failure. The Engineering for Climate Extremes Partnership was established to support decision-makers with information and expertise, and to enable them to anticipate and make resilient choices in the face of changing environmental and societal realities.